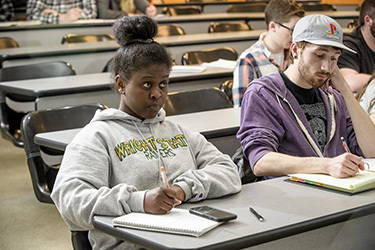 The Innovation and Entrepreneurship in High Technology certificate is jointly sponsored by the College of Engineering and Computer Science and the Raj Soin College of Business at Wright State University. This certificate program is designed to enhance the technical expertise and business acumen of students, regardless of professional pursuit. Upon completion of this certificate program, graduates will be knowledgeable about the technical processes that drive innovation and possess the business skills required of entrepreneurs.